Our wedding might be over a year away, but that hasn’t stopped me from planning as much as possible already. Since we got engaged last July, I’ve been moaning about how far off the wedding is (June 2018) and when people told me that time would fly by I didn’t believe them, until now! We’re fast approaching 12 months engaged already and the sheer amount of how much there is to do is crazy! We seem to be on top of things though, with a beautiful venue booked, a photographer all sorted, dress (of dreams) deposit paid and some delicious catering all chosen! All that’s left to book now are all the little details; DJ, photo booth, cars etc etc and then it will all be coming together nicely! I’ve started to collect lots of props and accessories to dress the venue, and found all these amazing things in my local Homesense store that match our theme perfectly. 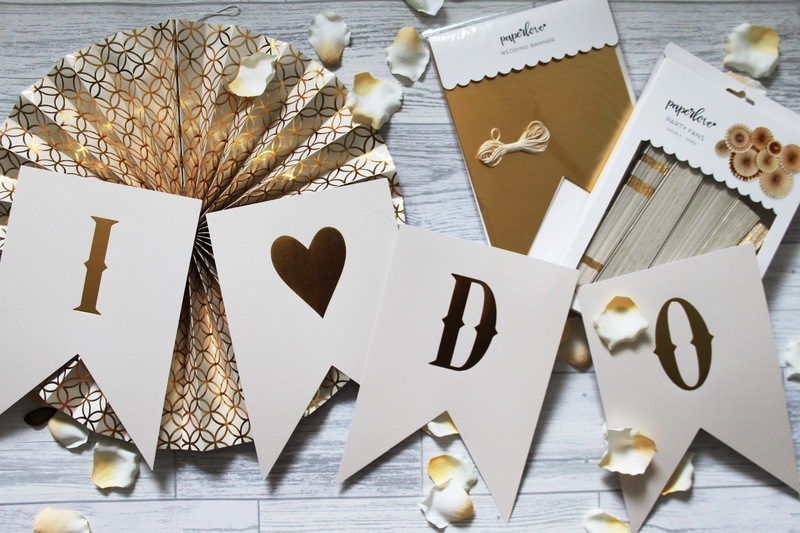 I picked up everything from decorative fans and pom poms, hessian banners and faux flower petals to cake toppers and wooden signs, and all were super affordable. Just look how pretty!! 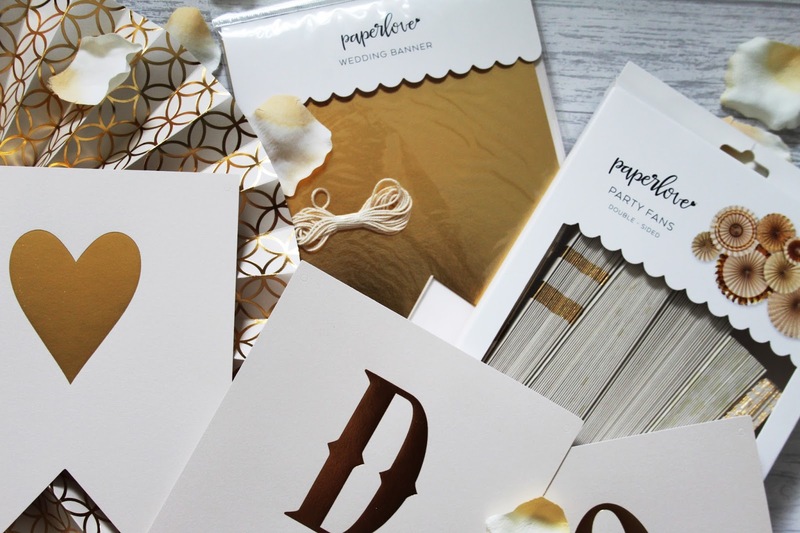 I managed to get my hands on some great wedding and stationery branded products such as Ginger Ray and Paper Love, which I was so excited to find! 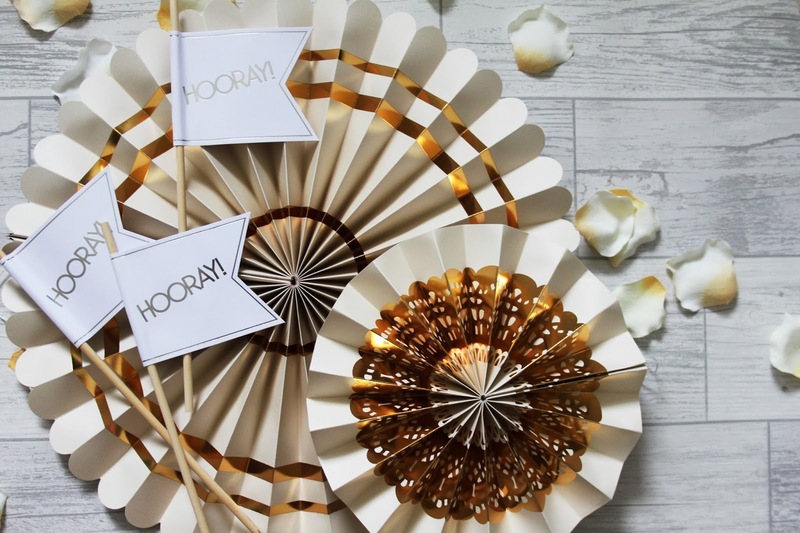 The paper fans will make the perfect back drop to a cake or sweet table, the little fans will look so sweet with the table centrepieces, and the various buntings are great for dressing bare window ledges or even the cars! 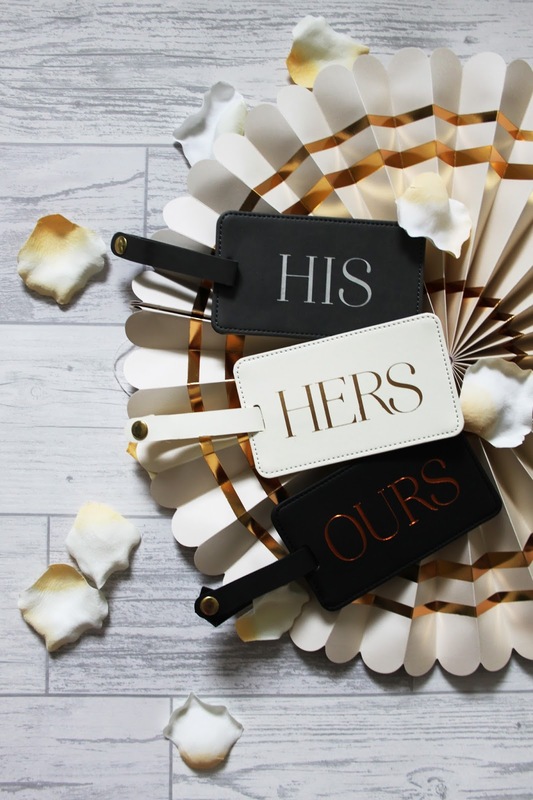 One of my favourite finds though has to be the his and hers luggage tags, which I’ll be saving for our honeymoon! 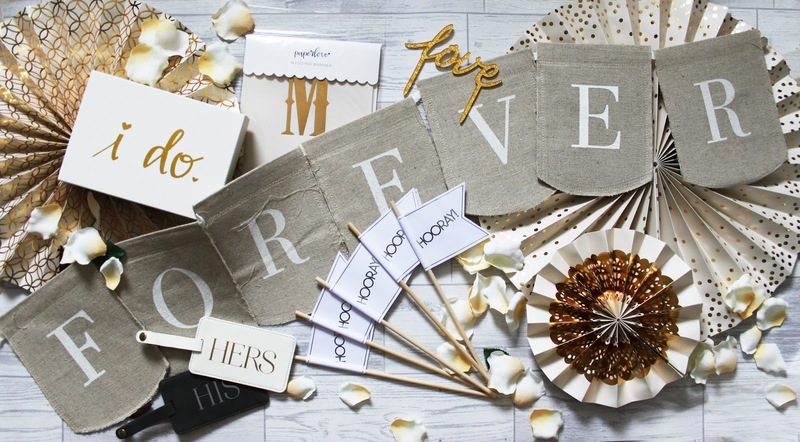 If you’re planning a wedding at the moment then I’d recommend checking out your local Homesense – I was just in there a couple of days ago and they had a huge new range of wedding props and accessories including all of these and much more! 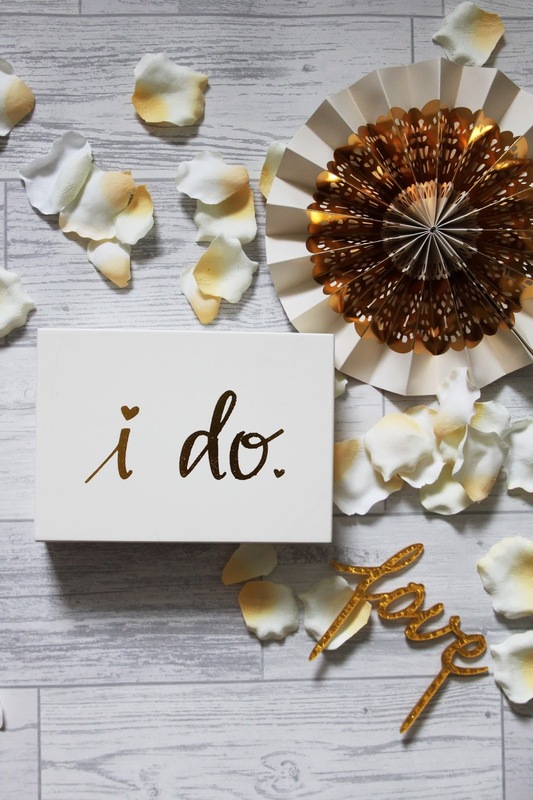 If you’re attending a wedding this Spring then they also have a lovely range of wedding gift bags and beautiful cards for the happy couple, so well worth a look if you’re after something a little different!